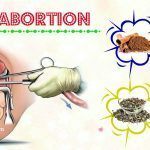 I thought that it would be very useful to make a resource page that any health blogger may come to for finding tools or services I have been using for my own Home Remedies blog. The list is continually building and I will add to it when I find out other resources that are worth mentioned. Disclaimer: Note that the following links are affiliate links, so I’ll earn a commission in case you decide to purchase through these links. I have used all of the following products and recommend them not because of some small commissions, but because they are useful & helpful. Please don’t spend your money on these services or products unless you really need them or you feel that they will assist you in achieving your goals. And let me know if you have any question about something listed below! If you see nothing else on the page, these are 13 powerful tools & services that you should not overlook. I find myself recommending those resources again and again, on podcasts and in emails. I use them since they make my life much easier, and I’m confident that you will also agree. BLUEHOSTThis was my hosting company for first three years. They offer an easy and slick way to set up and run with a blog on WordPress. Bluehost has free domain name registration, and I believe that it is amazingly affordable and it is a great place to start. Because of my long-standing relationship with it, users will get a significant discount on the monthly membership cost when they buy through one of my links. I get that the whole domain-Wordpress- hosting-website-stuff-language may be confusing you at first. 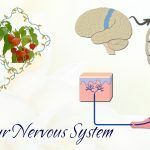 If actually you feel confused a bit, you should check out the writing on How to Start a Home Remedies Blog if you really want to step by step start your own blog using Bluehost. Continuing the use of theme, this is my favorite tool for creating & A/B testing beautiful and high-quality lead capture forms without a developer. Optin Monster will aid you in converting visitors into buyers or subscribers. Best of all, Optin Monster works perfectly with WordPress sites. This is what is currently using on Effective Remedies. Genesis is the framework that is used by many of the most popular bloggers, such as Chris Brogan (chrisbrogan.com) and Darren Rowse (problogger.net). With Genesis, you are going to want to buy the Framework ($59.95) and a child theme (price vary). It is also possible to have a Genesis child theme following the design of customers, which is what I did with Effective Remedies. There are thousands of free themes readily available in WordPress if you are not interested in buying a “premium” theme right now. It is a great place to begin if you are looking to begin your own blog without spending much money right away. Be sure to do a few studies and check the rating of theme before you download and install it on your blog. I would also recommend looking for themes that have a 4- or 5-star rating. 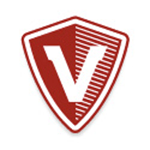 We use Vaultpress to backup the Effective Remedies WordPress account.  Effective Remedies has over 200 pages and posts that we have written over the past 2 years. Also, the blog has helped us generate extra income well. My point? It'd really stink when something happened where Effective Remedies was wiped out as well as we lost everything. Vaultpress makes sure that if something did happen like that we would be able to recover everything from a backup. 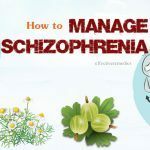 And if you are looking for an effective solution, please check out BlogVault. This is an email marketing software that we use to distribute a “Blogging Tips” newsletter (you may see the signup form in the right corner). We use its “follow up” functionality that allows us to form a list of emails delivered to subscribers in certain intervals. It is important for a blogger to connect with readers through the different avenues, including email. 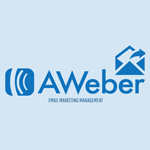 We think that Aweber is really great to make this easy. This tool will solve all of your email headaches. It is user-friendly as well as filled with great features such as list segmentation, tagging, reports, and automation. It is surely perfect for bloggers like you and me. I really love it! I would like to welcome some special sponsors to the SPI family! To be honest, I do get payment for mentioning the companies. I have carefully chosen them as I also use them myself; they appreciate and love the SPI community. Plus, they also offer an extra value to you like a follower and a fan of SPI. I would not let them be sponsors otherwise you are the most to me! SumoMe: In addition to an amazing resource, it is also filled with tools to aid you in growing your email list and your website. There are many tools to understand your site analytics, increase social sharing, capture email addresses, and more. It also integrates with many major email providers. You should try using one tool or may use them all. 99Designs: I receive many questions about where to look for a great designer. 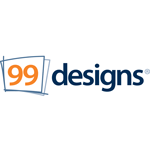 At 99designs, there are dozens of talented designers who compete to offer the best design for the creative needs, from logos, full website concepts to business cards. If you click that link, you may easily set up your design contest with a free, exclusive Power Pack Upgrade cost $99. How cool is this?!. Sidekick: With Sidekick, you may receive live notifications whenever someone tries to open and click on your emails. Now you have a powerful contact insight in your inbox. It is also an awesome email insight that I use daily. You will get your first month completely free! 1. Akismet: Akismet works as a comment guard, which makes sure that no spam comments get into your site. 2. Limit Login Attempts: This is a simple and important plugin to enhance the security on a WordPress blog. This plugin will limit the number of times someone may enter into an incorrect password. 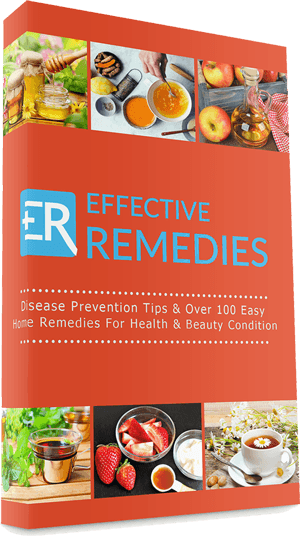 It is amazing how many people are trying to hack into Effective Remedies every day. 3. WP to Twitter: It is a little slick plugin that will automatically tweets whenever I post a new topic. Bluehost: 99% of my sites are hosted on Bluehost. It is very easy to use with an excellent customer service and one-click automatic WordPress installation. I highly recommend using this for your first site. Use it to get a smart passive income deal with $3.49 per month for a new hosting account and domain! The Genesis Theme: It is the WordPress framework and theme that a regular blog often runs on. Genesis promises an optimization of out-of-box search engine, faster page load times, design and font controls, and maximum readability to engage as well as hold reader’s attention. Paypal.com: This is just okay for selling your products through them, but you will need an account to configure and accept payments from the shopping carts above. Clickbank: This is another digital products retailer, but the most popular. 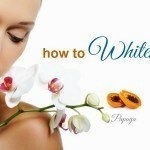 Although it is decently priced, comes with a wonderful affiliate program for your own products. Market Samurai: This is the best tool for keyword research readily available, hands down. Long Tail Pro: It is a top keyword research tool, which many people claim to be more user-friendly and better than Market Samurai. I have tested it myself, and it is hard to disagree. I know Spencer Haws, the owner, have also interviewed him on my podcasts. He is a good guy who is usually looking to improve the piece of software for the users. Use it to get an amazing discount off the normal price! Keyword Researcher: This is one of the best useful tools to look for popular long tail keywords. Watch the video on their homepage, I promise that you will be impressed. Seo Keyword Ranking: This is an excellent tool in order to keep track of these keywords that you are working on. Plus, it has an excellent interface and is really easy to use. Flickr Creative Commons: This is one site you may receive free images for your own websites, but there are a few rules going along with it. You should read the writing in the first image and photo resource above in order to make sure that you know how it works. Optin Monster: This is one of the best tools, hands down, for easily forming high-quality lead capture forms. It is a staple in almost tool boxes. It's trusted with 276,000+ websites use the Optin Monster lead generation software to get more email subscribers. 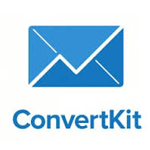 ConvertKit: I currently use this to build my email queue and send autoresponder and broadcast emails. It is built by bloggers and also for bloggers. I love this tool as it is very intuitive and easy to use and has powerful list of segmentation, tagging tools, and automation so you may deliver better and more specialized content to some specific segments of the audience. Grammarly: This is a spell-check tool that I use. Through my browser, anything that I write goes through the database of grammatical and spelling checks to ensure I write properly. Byword: I use this distraction-free word processor to write anything from video scripts to blog posts, presentations, and sales copy. Google Adwords: If you wish to start advertising on Google, you may select locations and keywords and you will pay each time anyone clicks on your advertisements. Google Adsense: Earn money by placing relevant advertisers on your website generated from advertisers who use Google Adwords. It is free to use, however, you have to register an account. Google Analytics: This is a free analytical tool and website tracking of Google. Anyone with any kind of website must use this. Sucuri: My sites are my livelihood and my business! Because I do not want any intruders, I pay a fee yearly to ensure that if anyone interferes with my websites, it will be dealt with right away, with notifications or alerts letting me know what is happening. If anything, Sucuri is surely great for your mind. Limit Login Attempts: You may install this plugin to reduce the number of times anyone tries to log into the WordPress admin panel before being blocked. This aids in stopping people who continue trying to break by logging into your site with different passwords. 99Designs: This is an only website that you may use if you want a logo design. It is in a contest format. When you submit the detailed description of what you need, designers will compete for each other to win and earn money. SpeechPad: I use this service to receive transcripts done for my videos and podcasts. LegalZoom: This is an easy LLC creation or online incorporation. The 4-Hour Workweek: Escape 9-5, Live Anywhere, and Join the New Rich by Timothy Ferriss: This is the most amazing book in the whole world. I also reference this a bit in my own posts. The $100 Startup by Chris Guillebeau: Reinvent the Way You Make a Living, Do What You Love, and Create a New Future: This is the latest book added to the resource page, and for great reason – this book rocks! It is a sweet mix of Rework (yet more actionable) and The 4-Hour Work Week (yet more realistic). ProBlogger by Darren Rowse: Secrets for Blogging Your Way to a Six-Figure Income: It is the best book about blogs from the number of online blogger, Darren Rowse.